Have you ever had to make a tough decision? Of course, you have! Tough decisions are made even tougher when it comes to our pets that we love and cherish. We all wish we could spend every waking hour with our pups, but there comes a point when everyone needs to seek outside help. The question is, what type of outside pet care is best for your canine companion? When it comes to pet care, a balance of both doggie daycare and dog walks is usually the best option. 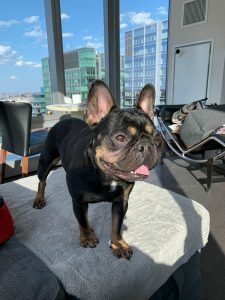 At Elliot’s House Pet Care + More, we understand that everyone lives busy lives and it’s not always possible to put your dog in daycare or schedule a walk every single day. We are here to list the benefits, and drawbacks, of each in order to make it easier for you to choose the balance of pet care that works best for you and your pup. Dog walks are one of the simplest but most crucial forms of pet care. Even though dog walks are one of the most basic forms of pet care, they offer a range of benefits. Dog walks give your dog an opportunity to relieve themselves and get exercise but dog walks also provide important mental stimulation for your dog. On walks, dogs get an opportunity to check out every sight, sound, and smell. This allows your dog to gather information about how their territory has changed since the last time they were on a walk and can help to make them feel more comfortable with their surroundings. This behavior is instinctual for dogs and encouraging and fostering this behavior is important to ensure your pups’ long term health. Dog walks give your dog the opportunity to socialize with other dogs along a walking route, but these opportunities for socialization are more limited than in a daycare setting. For this reason, dog walks are often a better choice if you are just looking to give your dog bursts of exercise and limited socialization. Based on our experience here at Elliot’s House Pet Care + More, some dogs require more intimate one-on-one care and dog walks are perfect for that sort of situation. Pack walks are also an option if you want your dog to be walked with a number of other dogs. 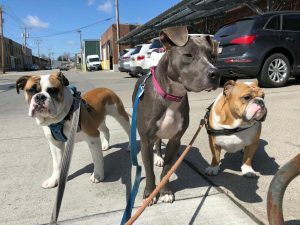 These walks offer more socialization than your typical dog walk, but they lack the structure for socialization provided by a daycare setting. There’s nothing like a little bit of fresh air to put the pep in your pup’s step! With walks, your dog is guaranteed time in the fresh air. Some dogs like the outdoors more than anything else and walks are the perfect fit for dogs with this temperament. From city walks to walks through the countryside, walks are the best way to ensure that your dog gets some fresh air. In urban areas, the biggest obstacle to productive walks is the lack of unpopulated space. 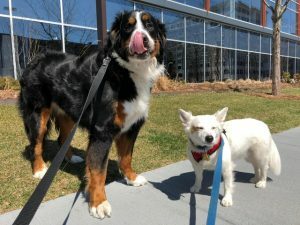 City walks are great for pups, but they involve a lot of unpredictable elements and don’t provide the structure that is in place in a daycare setting. 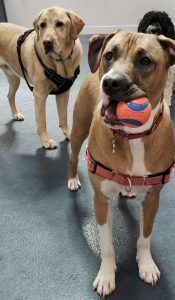 Doggie daycare offers dogs a chance to socialize with other dogs and let out all of their energy during a full day of play, but, beyond that, doggie daycares are safe, spacious and supervised. There are many reasons to choose daycare, but below are a few of the most important reasons. As opposed to dog walks in which your dog is with a walker and potentially a couple of dogs, dog daycares are typically full of dogs of all types. If your dog is a social butterfly or if you think that your dog could benefit from spending time with other dogs, then doggie daycare is a perfect fit for your pet pal. Doggie daycares can help dogs to overcome their social issues and anxiety in a controlled and supervised environment. At Elliot’s House, we see the positive effect of daycare on a daily basis. 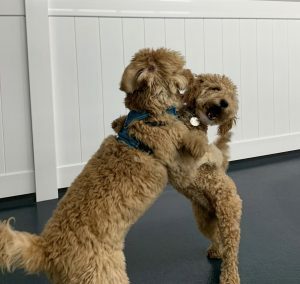 In the best cases, dogs walk in timid and shaking and after a few weeks at the daycare, they are socializing with other dogs, engaging in play and generally walking with a little extra pep in their step. On top of socialization, your dog is given constant attention as long as they are at the daycare. Sometimes dogs can get lonely at home and leaving the television on just won’t cut it. Daycare is a perfect solution for this problem as your dog is in a safe environment with attendants who can provide them with the proper care and attention. In a daycare setting, your dogs are exposed to a range of dogs and people. Getting used to being around other people can be important for dogs social growth. 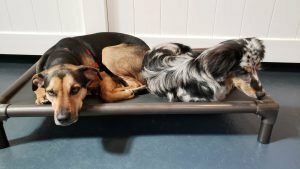 Daycare can help dogs to become more well-adjusted and social with not just dogs, but people too! Whereas walks can range from 15 minutes to 45 minutes, at least at Elliot’s House, daycare is a guaranteed full day of play for your dog. They have the opportunity to run around with other dogs, play with toys, and make new friends all day. This constant stimulation is healthy and helps to ensure that your dog goes home tired, hungry, and most of all happy! At Elliot’s House, we are always thinking of how to provide the highest quality of pet care for all the pups in our pack. Every dog is different and because of that our pet care specialists interact with every dog in a slightly different manner. We hope that this helps you to find the perfect balance of care for you and all of your pet pals!